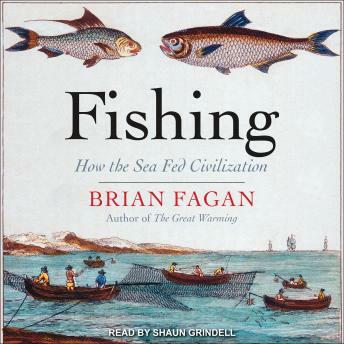 In this history of fishing-not as sport but as sustenance-archaeologist and bestselling author Brian Fagan argues that fishing was an indispensable and often overlooked element in the growth of civilization. It sustainably provided enough food to allow cities, nations, and empires to grow, but it did so with a different emphasis. Where agriculture encouraged stability, fishing demanded movement. It frequently required a search for new and better fishing grounds; its technologies, centered on boats, facilitated movement and discovery; and fish themselves, when dried and salted, were the ideal food-lightweight, nutritious, and long-lasting-for traders, travelers, and conquering armies. This history of the long interaction of humans and seafood tours archaeological sites worldwide to show listeners how fishing fed human settlement, rising social complexity, the development of cities, and ultimately the modern world.